You may want to discuss with your students how local differences (such as the underground stream here and the alkali soil) can lead to profound differences between neighboring plant communities, such as the desert and wet alkali meadow here. This site is an oasis in a transition zone between the Sonoran and Mojave Deserts, and species from both deserts grow near riparian specialists here. In addition, the site has interesting soil types; the flat area in the foreground of this panorama is a moist alkali meadow populated by several plant species that thrive in such soils. 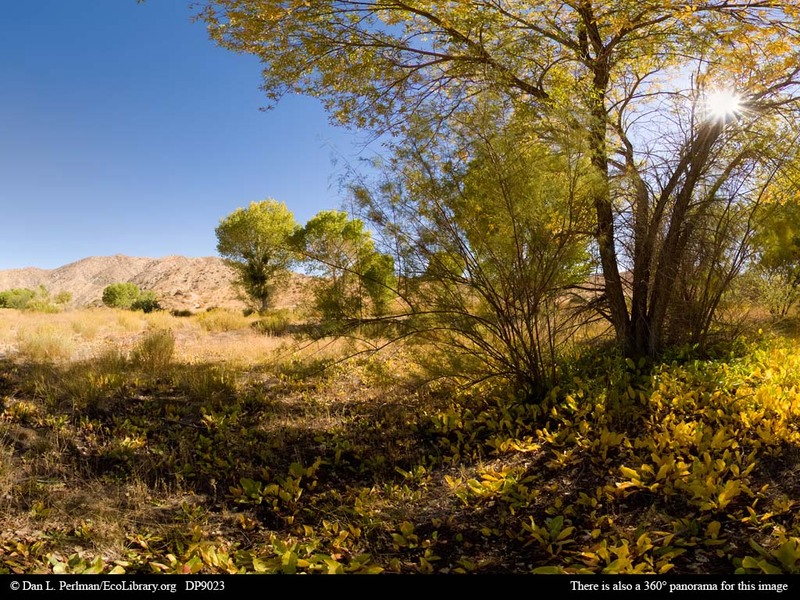 This site is right near the border of Big Morongo Canyon Preserve and Covington Park.